It wasn’t pretty, even with the regular referees. In the end though, the nightmare of last Monday night was finally put aside by the Packers, as a sloppy finish once again almost cost them, but they were able to pull out a 28-27 win over the Saints Sunday. Aaron Rodgers threw four touchdown passes for the Packers (2-2), including a go-ahead 11-yard strike to Jordy Nelson with seven minutes remaining. After Nelson’s grab, New Orleans’ Darren Sproles fumbled the ensuing kickoff, but was ruled down by contact. 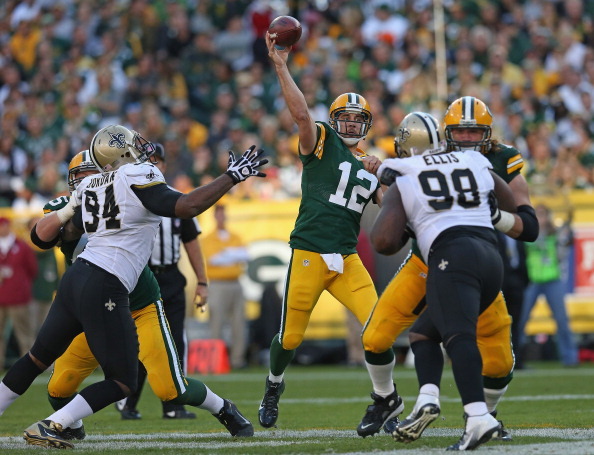 Out of challenges, the Packers were forced to accept the botched call, and the Saints took advantage with a march to the Green Bay 25. Garrett Hartley drilled a 43-yard field goal from there, but this time the newly reinstated officials got it right with a holding call on David Thomas, which negated the kick. After an encroachment call on Green Bay, Hartley pulled his 48-yard attempt wide left and the Packers took over with 2:49 to go. They were able to run out the clock and secure the win courtesy of a tough catch by James Jones on 3rd-and-3. Rodgers finished with 319 yards and an interception on 31-of-41 passing, while Cedric Benson ran for 84 yards on 18 carries for Green Bay. 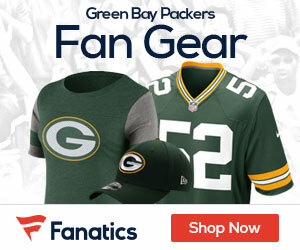 Nelson caught eight passes for 93 yards, Jones added a pair of touchdown grabs and Greg Jennings scored in the second quarter before departing with a groin injury. Drew Brees completed 35-of-54 passes for 446 yards and three touchdowns without and interception for the Saints (0-4), who have dropped four straight to begin a season for the first time since 2007. With a 20-yard first-quarter scoring pass to Marques Colston, Brees tied Hall of Famer Johnny Unitas for consecutive games with a touchdown pass (47). “Obviously I’d like to be sitting here talking about (the record) after a win, but certainly it’s significant to even be in the same realm as a guy like Johnny Unitas,” said Brees.